We all know Spider-Mans origin - but what happened the day after Uncle Ben died? Find out in Spider-Man: 48 Hours! 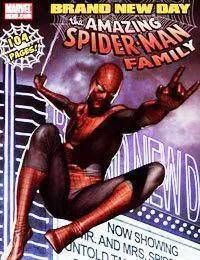 Also, see the life of MayDay before she became Spider-Girl with Mr. and Mrs. Spider-Man! Also, check out Aunt May, Agent of F.E.A.S.T. and a flashback to the birth of Spideys nemesis, VENOM!